How Does the Idea Come from? 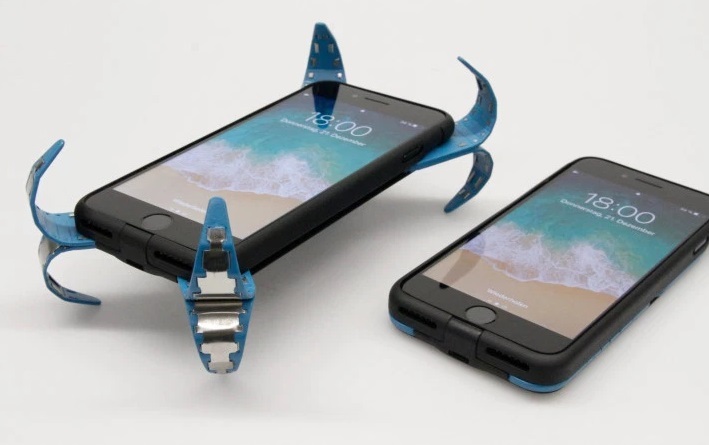 The inventor of clever phone case Philip Frenzel said the idea for the phone-saving case came from his own painful experience of losing a pricey iPhone due to a fall. It took four years of experimentation for realizing this incredible clever phone case. He engineered his invention with built-in sensors to detect when the phone is in free fall and eight springs attached to plastic legs that pop out to break the phone’s fall on impact. One of the bad news connecting to the phone case is that it is not available in the market. It will still remain concept. Frenzel has called his invention the ADCase, short for active dampening. In their official website they write “Our vision with ADcase is a smartphone case that combines maximum protection with elegant design. A case that is so smart that it even makes a difference whether it’s in your hand, in your pocket, or in free fall. A case that supports the user and offers real value added. Be excited about the Active Damping case”. It is prepared for models IPHONE X, IPHONE 8 / IPHONE 8 PLUS, IPHONE 7 / IPHONE 7 PLUS, IPHONE 6S / IPHONE 6S PLUS, IPHONE 6 / IPHONE 6 PLUS.